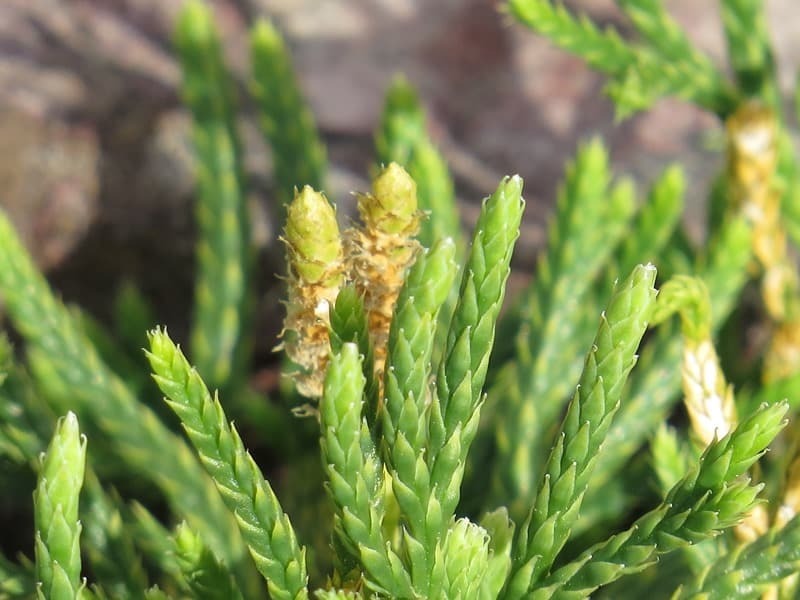 Early in 2016, I had an e-mail from Perry Smale, a Cornish botanist, asking for help in finding one of Assynt’s rarities, Issler’s clubmoss Diphasiastrum complanatum ssp. issleri. He is a member of the BSBI and was planning a summer visit to this area, with his wife, to see some of the special plants found here, at the other end of the British Isles. 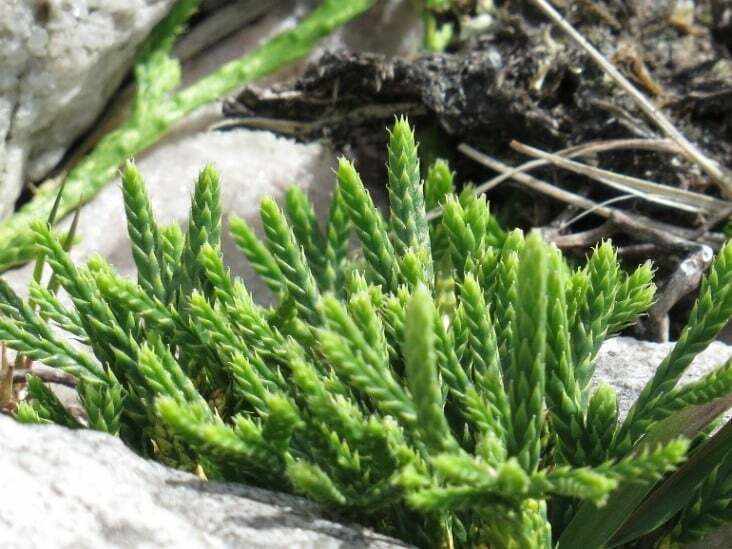 This clubmoss grows on the eastern slopes of Canisp, and he later sent me several photographs taken on a successful expedition to that hill on 21st August, two of which are shown. Issler’s clubmoss bears a strong resemblance to the widespread alpine club-moss Diphasiastrum alpinum. It differs in the colour of the plants, which are a distinct yellow-green, as opposed to the glaucous or blue-green of its relative. The leaves, which are closely applied to the stems in four serried ranks, also have a distinctive shape and set. An alternative English name, the yellow cypress clubmoss, well sums up its appearance. It was first discovered in Assynt in 1985, by a veteran botanist, the late Archie Kenneth, although he only left rather vague information about the precise site. It was later re-located, and when Pat, Gordon Rothero and myself visited the area, on 15th June 1998, we found a large population spread for some 500m along the 250m contour line south of the Allt Mhic Mhurchaich Gheir (NC2316). It grows there in sparsely-vegetated, broken, stony ground, and can be spotted from quite a distance by its colour. There are recent records of this national rarity only from Assynt and two other places in the Cairngorms, there at rather higher altitudes. It used to occur at a handful of lowland sites in both England and Scotland, but seems to have long since disappeared from all of these.